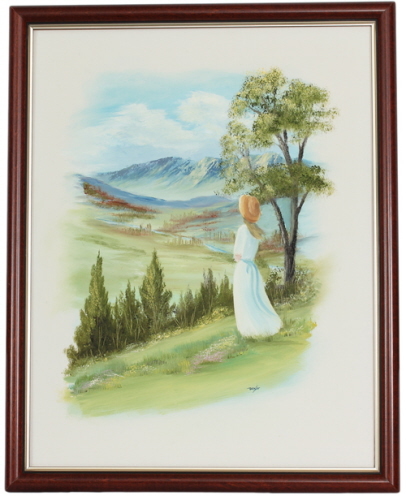 This original art work by Shirley Winsor shows a young lady taking in the view of beautiful valley at the crest of a mountain. This painting was done in the same manner as "Walk in Park." by white-washing the canvas, then "dry-brushing" the edges of the painting to create a dream-like effect. The brush used was very fine creating delicate brush strokes.